Choose San Tan Communications, LLC to get high-quality CAT-5 cabling products, 24/7 on-site support, and same-day service availability. 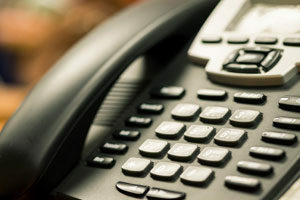 There are many reasons our CAT 5 cabling, Ethernet cable, fiber optic cable, computer networking, business phone systems (including business VoIP), and various telecommunications solutions trump our competitors. San Tan Communications provides out clients with high-quality products and services at affordable prices, 24/7 on-site support, licensing, insuring and bonding, same and next day service, BICSI and SSTA registration, and more. If you are in need of a business phone system and other telecommunications services for your business including VoIP, network cabling and CAT 5, you can count on San Tan Communications to consult with you to design the products and services that will best suit your company. We invite you to learn more about the network cabling solutions available to you at San Tan Communications. Learn more about our unbeatable cabling solutions by calling us today. You’ll soon discover that what we provide to our clients is simply unparalleled in the industry. We offer all our products and services at unrivaled prices. We have the experts you need to get your new products installed and set up properly, and we also offer support to help you maintain and troubleshoot your products to keep them running at maximum efficiency. We offer the most affordable pricing as well as complete vending solutions and 24/7 on-site support for all of our cabling. We are in the solutions business at San Tan Communications. You’ll find great answers here along with impeccable customer service. Our goal is to meet and exceed all your telecommunications needs in a manner that emphasizes our professionalism and experience. What Type Of Warranty Do You Offer On Your Speaker Wiring And Other Products? Our speaker wiring, and all of our voice, data and video telecommunications products are covered by a 10-year labor/workmanship warranty and a manufacturer product warranty. You can depend on San Tan’s professional cable installers for audio cables and cable installation, speakers and speaker installation, computer networking, and telecommunication wiring across the board. San Tan Communications offers the finest speaker and audio cable options in the market, and they are all protected by some of the best warranties in the industry. You can count on us to deliver on all of your wiring for your telecommunications systems. Let us put our professional installers to work for you today. We are certain that you will be pleased with the quality of our products and our unrivaled labor/workmanship warranty. San Tan Communications is proud to offer the finest in speakers and their wiring, audio cables and more, and we back up our products with one of the best warranties in the business. Our warranty is quite simply the best in the business, allowing you to rest assured that you will receive quality performance for years to come. Look to San Tan Communications for the finest in speakers, wiring, and so much more. We pride ourselves on providing our clients with a host of state-of-the-art telecommunications products and unrivaled labor/workmanship and manufacturer’s warranties. Call us today to learn more about our vast array of products and services. Does San Tan Communications Provide Computer Cabling? San Tan Communications offers our clients computer cabling among our many telecommunications options. We have helped countless businesses just like yours with their computer networking needs and we are anxious to serve your needs, too. You can rest assured that a cable installer from San Tan Communications is equipped with the experience to install CAT 5 wiring for your Ethernet cable, USB cable, fiber optic and copper cabling, support structures, and more. Is your network cabling system up to the task of meeting all the needs of your office? If it isn’t, we invite you to consult a professional at San Tan Communications to discuss options for a new, state-of-the-art telecommunication system that exceeds your desires. You can depend on us for all your network cabling and telecommunications needs. Let San Tan Communications be your source for cabling options for your computer network that will revolutionize the way you do business. Our professionals will meet with you to discuss your networking needs and provide solutions that address those unique needs specifically. Call us today so we can discuss your needs and send one of our professionals to set you up with a system that makes your job ­ and your life ­ easier. Ask the professionals at San Tan Communications about our cabling and networking solutions. We can help connect your office in a way that addresses your individual needs and preferences and so much more. We are anxious to help you learn more about all we have to offer to make your business run more efficiently. As a full service provider of computer network cabling and voice, video, and data cabling packages for businesses large and small, San Tan Communications of Phoenix, Arizona would like to take a moment to remind readers about the value and importance of access control cabling. For the uninitiated, access controls do just what it says in the name; which is to effectively manage access to computer systems, networks, web servers, and a host of other systems. In doing so, they can protect your network from hackers and limit access within your organization; making access control cabling something you should definitely inquire about with your cable installation professionals. Access controls are security features that protect your system by blocking the ability of an outside user or system to interact with yours. In other words, access controls protect your system from unauthorized access; a vital protection element for any network system. Even valid users of your system may have different levels of clearance or authorization, and here access controls can help as well by determining the level of authorization an authorized user has. How does access control work? Generally it starts where most computer interactions do, with the log-in process. During the log-in process a user is of course identified, at which time it is determined if he or she is a valid user. While a password would generally be the source of identification, more advanced systems my scan fingerprints, voices, or even eyes to determine the validity of a would-be user. Smart Cards, which rely on an access number as well as additional log-in information, are another popular and effective access control option. Those in charge of a company’s network can implement additional restrictions should they want to; such as limiting user access during certain times of day or limiting use to the computer in one’s own office or cubicle. In doing so companies can further protect the valuable information (i.e. customer databases, etc.) housed in their systems. The sensitive information on your network deserves the utmost insecurity measures for its protection. Secure your network from hackers and control use from within your company by implementing the proper access controls. Consult today with your computer cabling and systems wiring provider regarding the implementation of access controls on your system. This entry was posted in Uncategorized on November 13, 2017 by SanTanAdmin. As a leader in the design and installation of voice, video, and data cabling solutions for businesses of all sizes, Phoenix-based San Tan Communications realizes the importance of an effective business telecommunications network to the overall success of your business. In addition to offering design, installation, maintenance, troubleshooting, testing and repair of turn-key phone system networks with integrated voice mail, the telecommunication wiring experts at San Tan also offer help for businesses on the verge of relocating. So what qualities should you look for in finding a telecommunications company to help you relocate your network? Need Assessment – A qualified telecommunications company should assess your current system to ensure that it will work in your new location. System Replacement – Should your present system be deemed inadequate for your new location, is the company you’re working with able to offer an effective solution? The answer should, of course, be yes. Telecommunications Analysis – Your company should be able to provide vendor recommendations that will allow for cost savings and better service. Complete Cost Analysis – Providing a thorough cost analysis allows for the possibility of providing one cost for all communication equipment moves, audio-video systems, access control systems, CCTV systems, and telecommunication service costs. Project Management – This is a crucial element in facilitating communication with staff members and telecommunications service vendors. Network Analysis – This helps to ensure the most cost effective telecommunications services for both voice and data. Implementation of Services – Allows for the testing of the complete system, network, and telecommunication service. Relocating your business can be an all-consuming proposition, and you don’t want the quality of your operations to suffer during the transition. Make certain that the telecommunications company you choose to facilitate your transition is up to the task, and that they offers all of the services listed above. Don’t settle for less. Whether or not your telecommunications needs are relocation r elated, San Tan Communications reminds you of the importance of finding a telecommunications company committed, like San Tan, to reliability, response time and customer satisfaction. Large or small, it’s important that the job is done right; because without a functioning business phone system your business isn’t truly a business at all. Have you considered CCTV as a security solution for your business? CCTV stands for closed circuit television, which involves the use of video cameras that translates a signal to a specific place on a limited set of monitors. Many business are incorporating video cabling into their voice and data cabling packages, and CCTV is proving to be a popular choice for a variety of businesses. In fact it is often used for surveillance and monitoring in banks, casinos, convenience stores, airports, military installations, office buildings, and more. Computer network cabling experts San Tan Communications of Phoenix, Arizona invites you to learn more about what goes into the design and installation of an effective CCTV surveillance system. A quick look at the list above may send your head spinning, but the good news is that you needn’t be an expert on surveillance equipment and video cabling, so long as you consult and employ a company that is. A qualified and experienced video cabling expert will work with you to analyze your needs and create and design a system that addresses the unique aspects and needs of your business. In doing so, the end result will be a CCTV security solution created specifically with your business in mind. With so many businesses discovering the benefits of CCTV as a security solution, it makes sense for your business to explore the security benefits closed circuit television offers. Structured voice and data cabling systems represent the heart of every network system. That said, computer network cabling is an entity often overlooked by small businesses and companies in terms of maximizing network performance. Simply put, computer cabling needs far more attention than it did a few years ago. As a leading provider of voice, data, and video cabling packages for any budget in the greater Phoenix area, San Tan Communications reminds you that many companies today are not getting the speed they should be getting from their computer network. If you’ve determined that yours is one of those companies, the time may be right to evaluate your voice and data cabling. Updating your voice and data wiring solutions for business computer networks, data centers, VOIP phone systems and more may not only make your network run more efficiently; it may also save you money in the long run. What might be to blame if you’re not getting the speed you need from your network? Well, computers connected to faulty network cables are the most likely culprit. In such situations computers can generate excess retry packets, causing the whole network to slow down. Despite this being something of a common occurrence, many network experts give little or no thought to cabling or cable components. As a result these problems can go undetected. The experienced professionals at San Tan Communications are experts at troubleshooting computer cabling issues. They know where to look for unidentified issues and what is required in order to resolve those issues before they become a larger problem for you. San Tan Communications offers a complete voice, data, and video cabling package for any budget, and can design and install all phone systems and certify any type of structured cabling system. Furthermore, they can troubleshoot and repair your phone system or computer cabling; often on the same day you contact them. If you sense that your computer cabling isn’t operating at optimum capacity you’re probably right. Make sure to give it the consistent attention it deserves, and ask yourself if it’s time to replace or update your computer cabling. With a tweak here and there and some proper troubleshooting you’ll get the speed you should be getting from your computer network. This entry was posted in Uncategorized on April 10, 2017 by SanTanAdmin. Network Cable Installation for Your Phoenix Business? 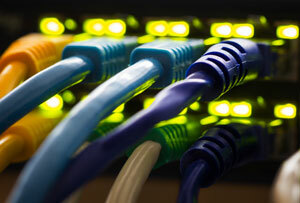 What network cabling means for your Phoenix business? We live in an era of constant information exchange from one person or device to another. From tweets to file transfers, we constantly use open and closed circuits to send messages and secure information and critical documents from one server to the next both at home and in the office.